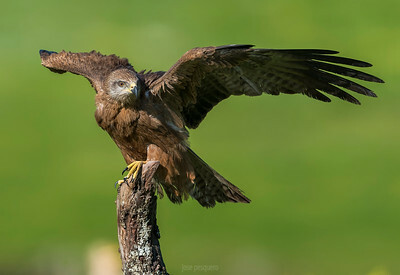 The Black Kite (Milvus migrans) is a medium-sized bird of prey in the family Accipitridae, which also includes many other diurnal raptors. 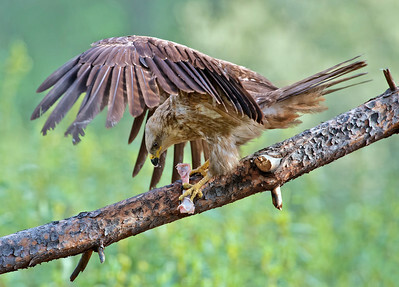 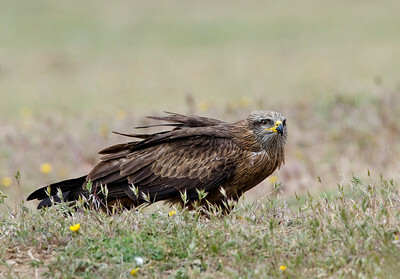 Unlike others of the group, Black Kites are opportunistic hunters and are more likely to scavenge. 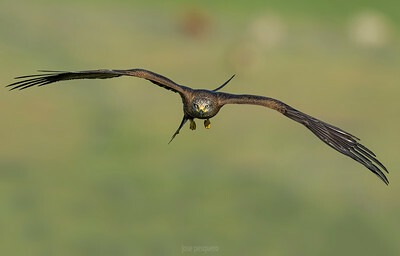 They spend a lot of time soaring and gliding in thermals in search of food. 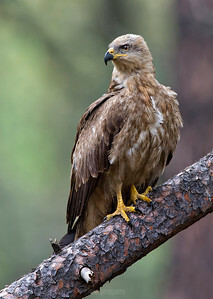 Their angled wing and distinctive forked tail make them easy to identify. 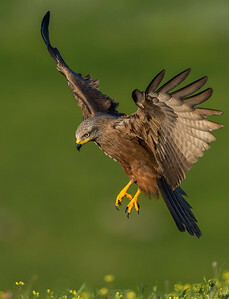 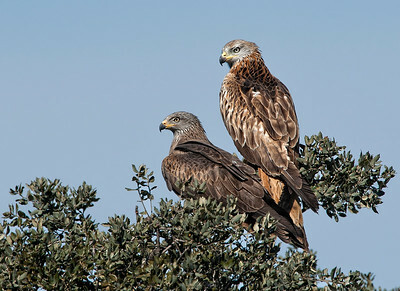 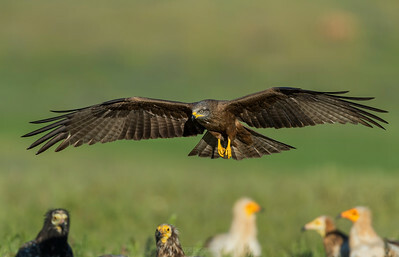 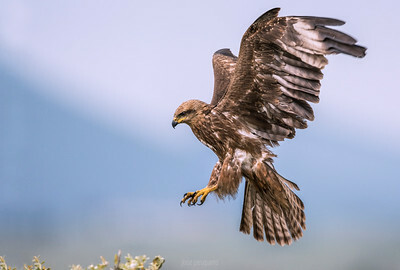 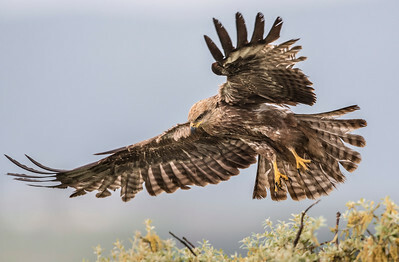 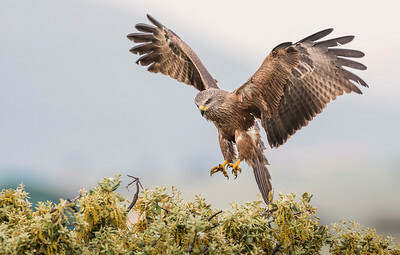 Black Kites can be distinguished from Red Kites by the slightly smaller size, less forked tail (visible in flight), and generally dark plumage without any rufous. 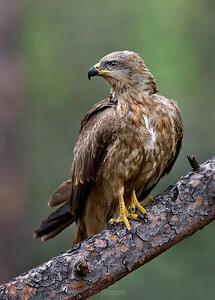 The upper plumage is brown but the head and neck tend to be paler. 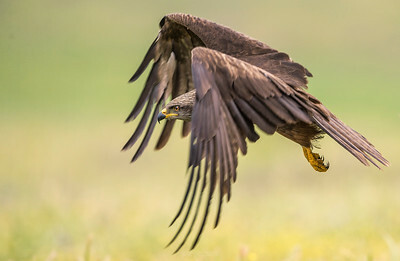 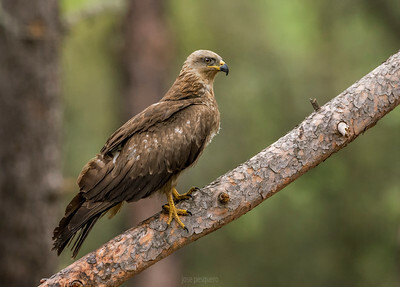 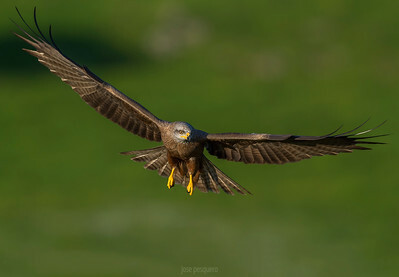 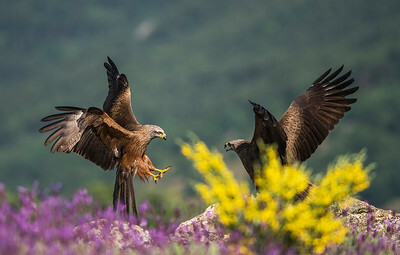 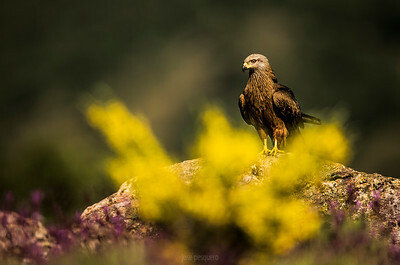 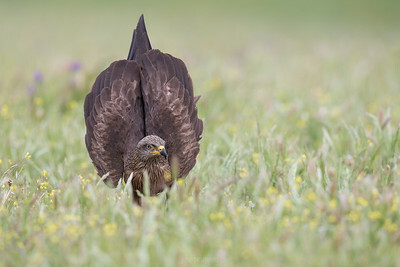 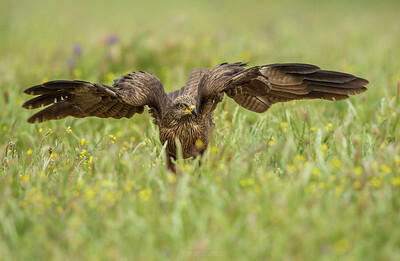 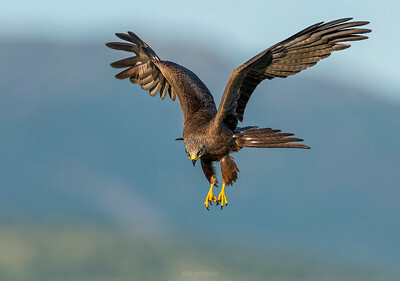 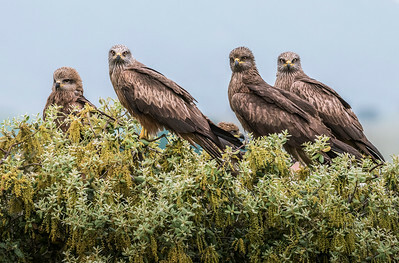 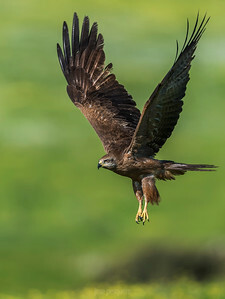 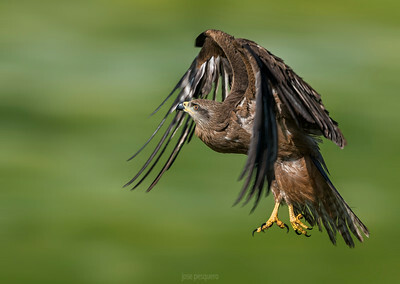 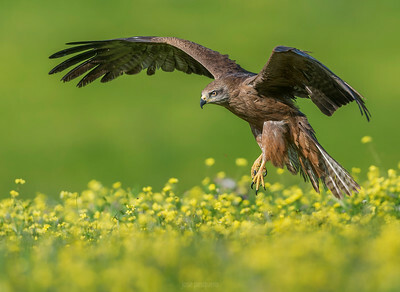 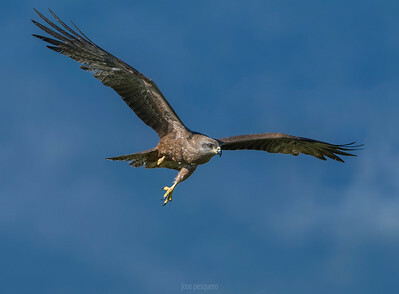 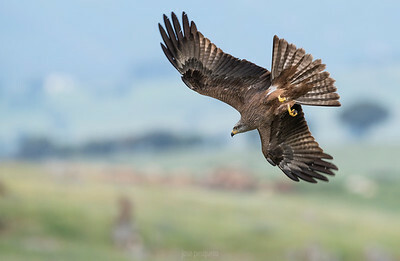 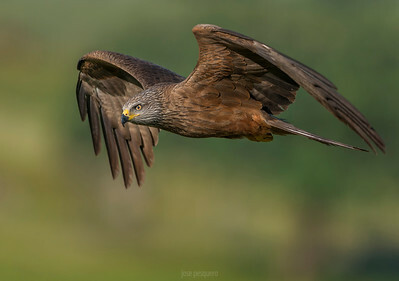 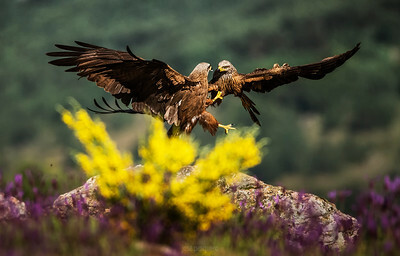 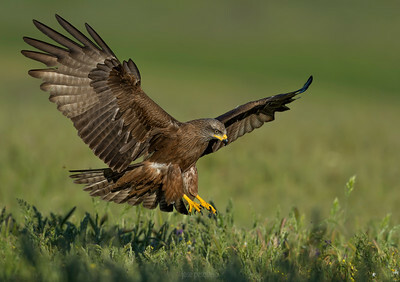 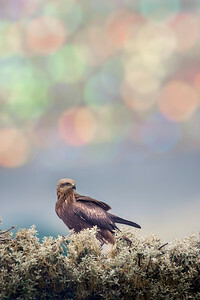 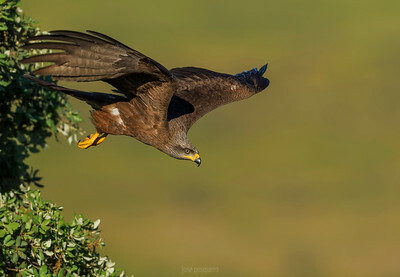 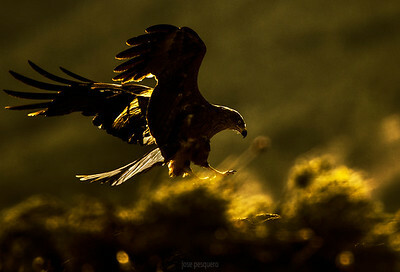 Wildlife bird images.Black Kite series. 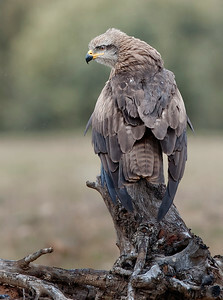 Standing.